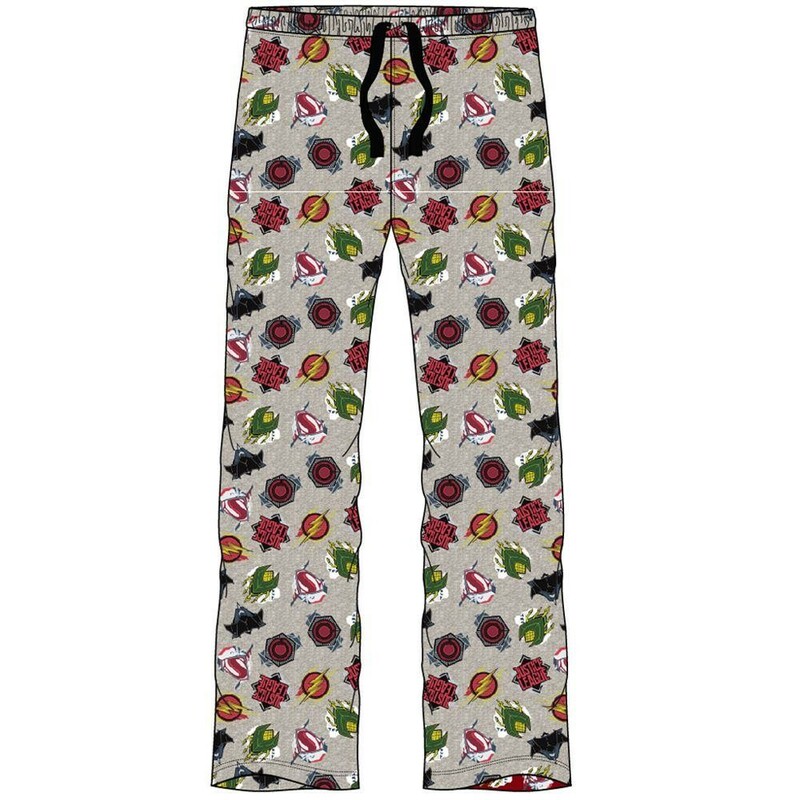 Mens official licensed Justice League lounge pants with a printed design. They have an elasticated waistband and a pocket each side. The bottoms have a cord tie fastening at the front.